Mix the pudding according to directions and pour into pie crust. 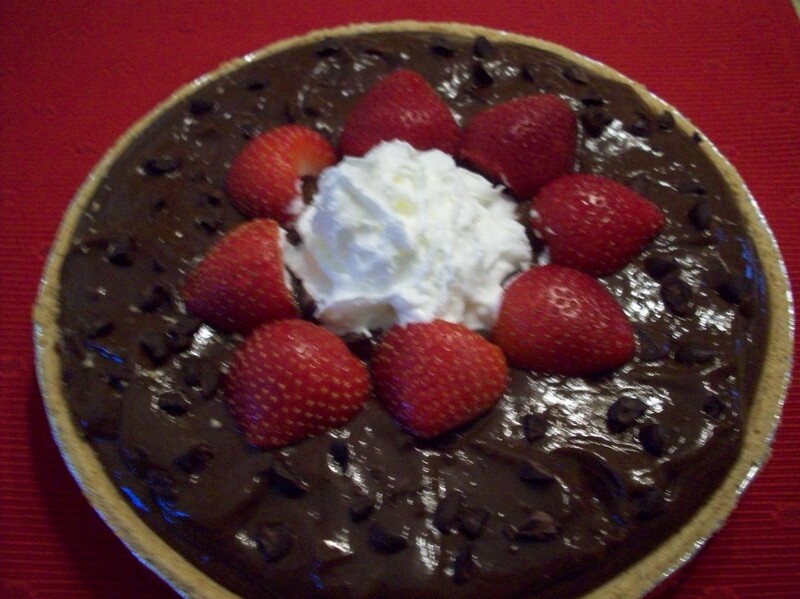 Cut up chocolate into small chunks and scatter across the top of the pie. Wash strawberries thoroughly and completely (remember strawberries are in the top 10 for high amounts of pesticides), cut in half, and decorate the top of the pie with them. Add whipped cream. Enjoy! Note: I made this for my husband for Father’s Day. So very simple, but he was impressed and loved it! Looks delicious!! Save me a piece or two! !